VR180 cameras allow creators to shoot three-dimensional, immersive photos and videos using affordable cameras that are small enough to fit in your pocket. 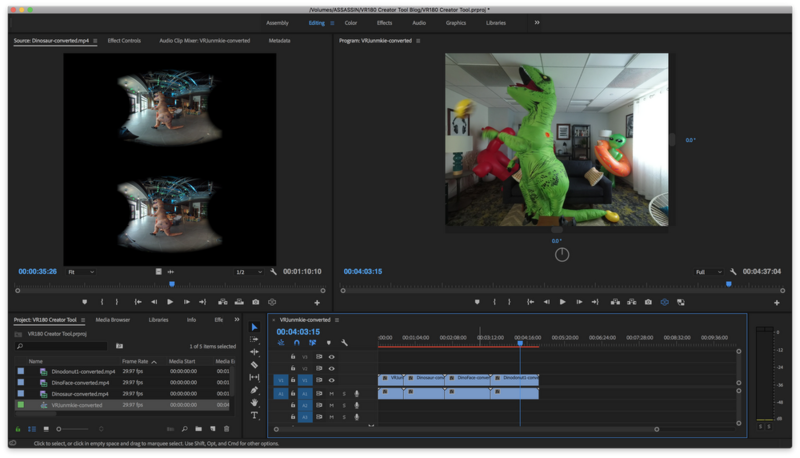 And to make it even easier for you to create and edit high-quality VR videos, we’re launching VR180 Creator on Mac and Linux. This desktop tool lets anyone edit VR180 footage with existing VR video tools. VR180 Creator currently offers two features for VR videos. “Convert for Publishing” takes raw fisheye footage from VR180 cameras like the Lenovo Mirage Camera and converts it into a standardized equirect projection. This can be edited with the video editing software creators already use, like Adobe Premiere and Final Cut Pro. “Prepare for Publishing” re-injects the VR180 metadata after editing so that the footage is viewable on YouTube or Google Photos in 2D or VR. With affordable VR180 cameras and the simplified editing process provided by VR180 Creator, you can capture your memories in VR whether it is giving your viewers a tour of your home or bring your viewers on an adventure with you. You can learn more about how to use VR180 Creator here and you can download it here.